Margaret Ashida STEM Leadership Award – NYS STEM Education Collaborative, Inc.
NYS STEM Education Collaborative, Inc.
Margaret Ashida was an outstanding woman who created a wave of change by her tireless efforts to create connections between business/industry and STEM educational leaders in colleges and the K-12 sector, not only here in New York State, but across America! She was a “thought leader” often creating ideas and connections between and among educators and business/industry to further the implementation of pathways for developing America’s STEM workforce. Through her advocacy, the NYS State STEM Hubs were created, pulling together New York communities in unique ways to foster the development of STEM career pathways. Margaret was the Founding Chair for the Empire STEM Learning Network, a statewide, community-led collaborative; and a board member for the NYS STEM Education Collaborative, a coalition of AMTNYS, NYSSPE, NYSTEEA and STANYS work collectively and collaboratively to deliver STEM Education in the spirit and vision of New York State’s MS Frameworks and Learning Standards to skillfully and completely address the concerted national cry for STEM Literacy. Margaret will be missed, but forever remembered by her work ethic, her dedication to excellence and her friendship to all she met. 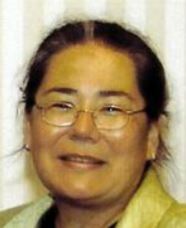 The Margaret Ashida STEM Leadership Award seeks to honor persons who are making significant STEM connections within their community through their time, actions, talents and dedication. The honorees selected serve as a role model for STEM Leadership as they are striving to enhance the STEM workforce through their connections between business/industry and STEM educational leaders. Persons being nominated for this award will have consistently demonstrated qualities of STEM Leadership, creating waves of change and connections between people and organizations in order to enhance STEM career paths in their community. Anyone is eligible to make a nomination of a worthy nominee. 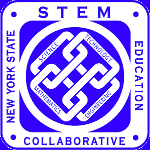 A brief bio and photo of the recipients will be posted on the New York State STEM Education Collaborative web page as well as disseminated in a press release by the NYS STEM Education Collaborative. Winners will be honored at the evening banquet of our yearly Summer Institute. myON is offering a “no cost” pilot of their digital library for the months of Sept through Dec. Does CTE in High School Improve Student Outcomes? 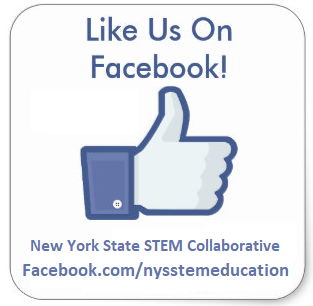 © Copyright 2016 by New York State STEM Education Collaborative.